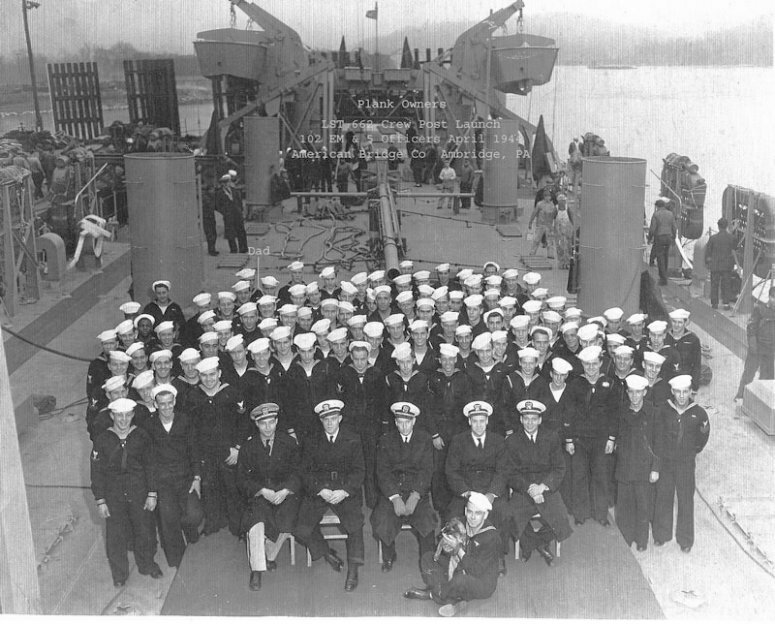 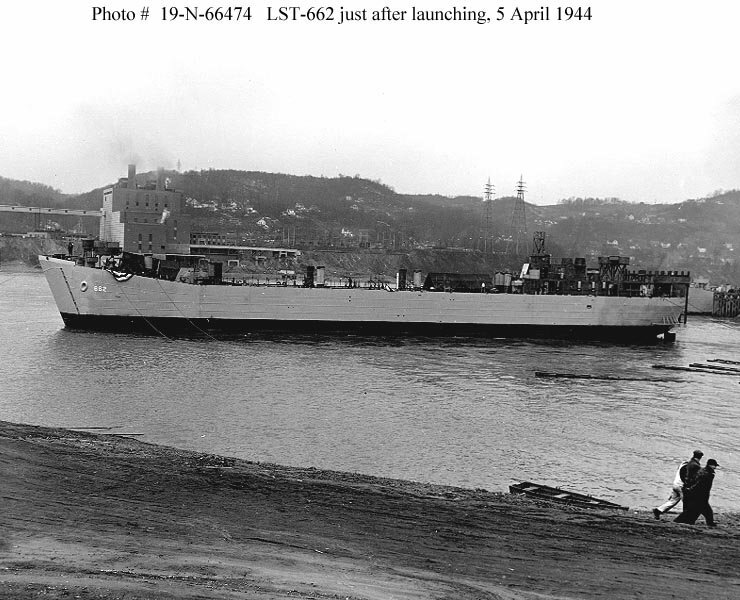 Laid down, 14 January 1944, at American Bridge Co., Ambridge, PA.
92k USS LST-662 at the American Bridge Co., Shipyard, Ambridge, PA, 5 April 1944, moments before launch. 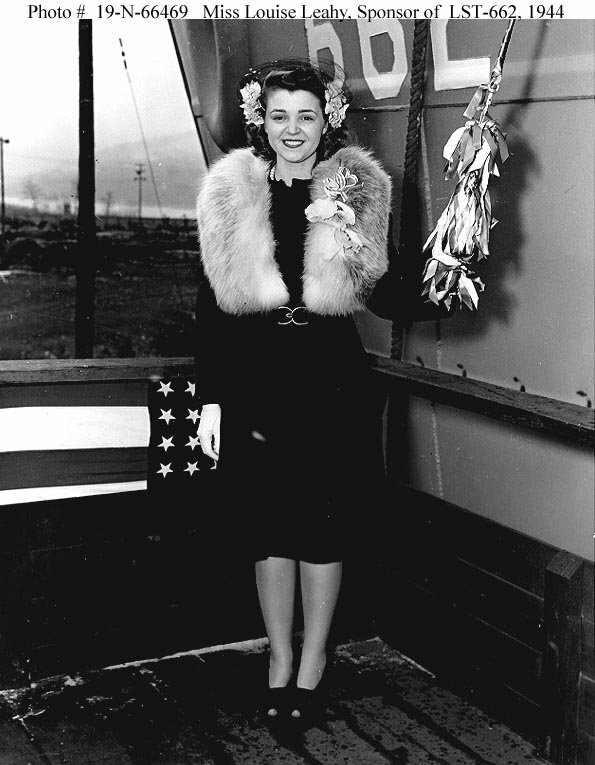 80k USS LST-662 Ship's Sponsor, Miss Louise Leahy, poses with the christening bottle during launching ceremonies at the American Bridge Company shipyard, Ambridge, PA., 5 April 1944. 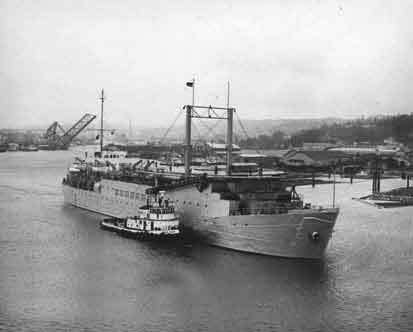 LST-662's port bow is directly behind her. 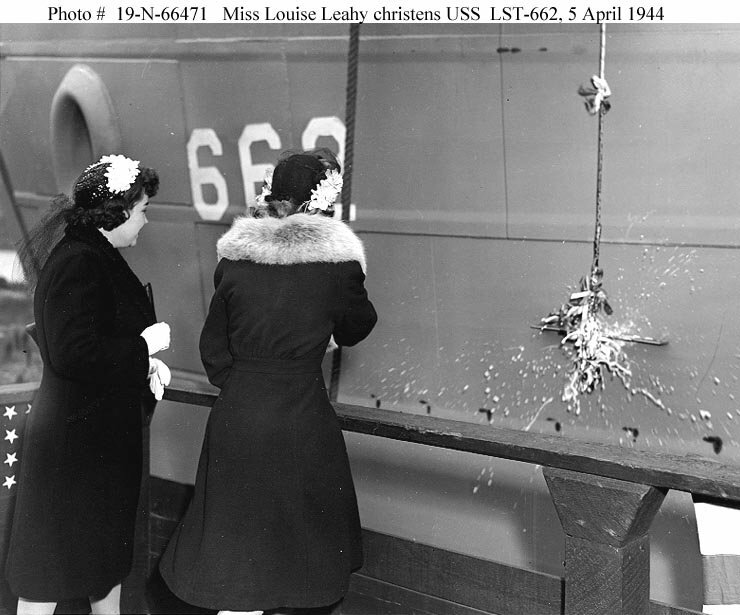 74k USS LST-662 Ship's Sponsor, Miss Louise Leahy, christens LST-662 during launching ceremonies at the American Bridge Company shipyard, Ambridge, PA., 5 April 1944. 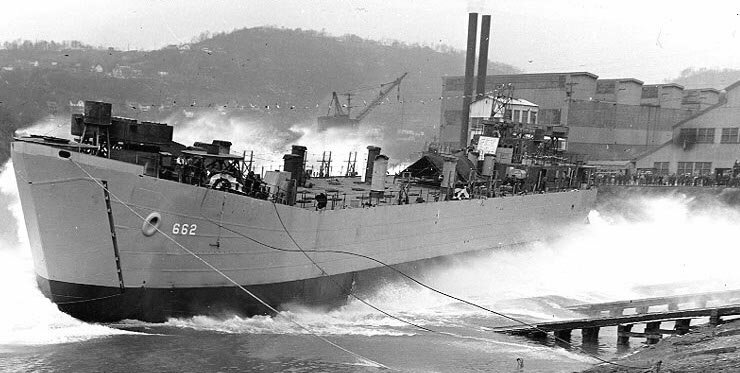 65k USS LST-662 sliding into the Ohio River at the American Bridge Co. Shipyard, Ambridge, PA. or 5 April 1944. 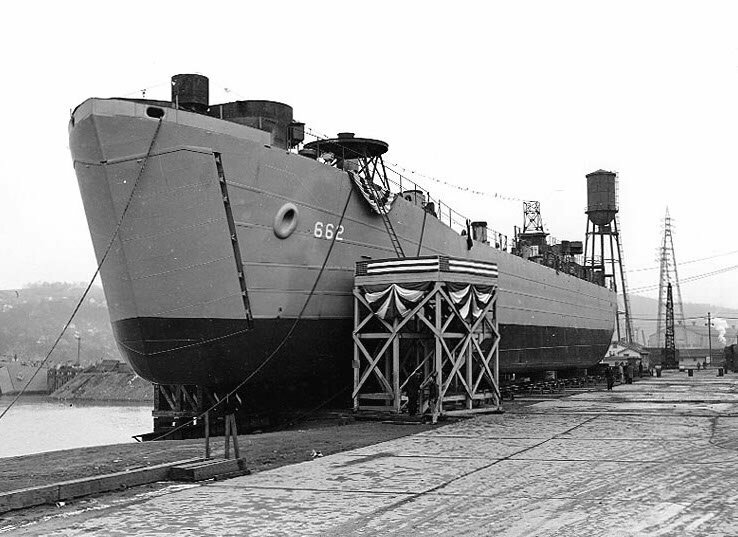 104k USS LST-662 afloat just after launching, at the American Bridge Company shipyard, Ambridge, Pennsylvania, 5 April 1944. 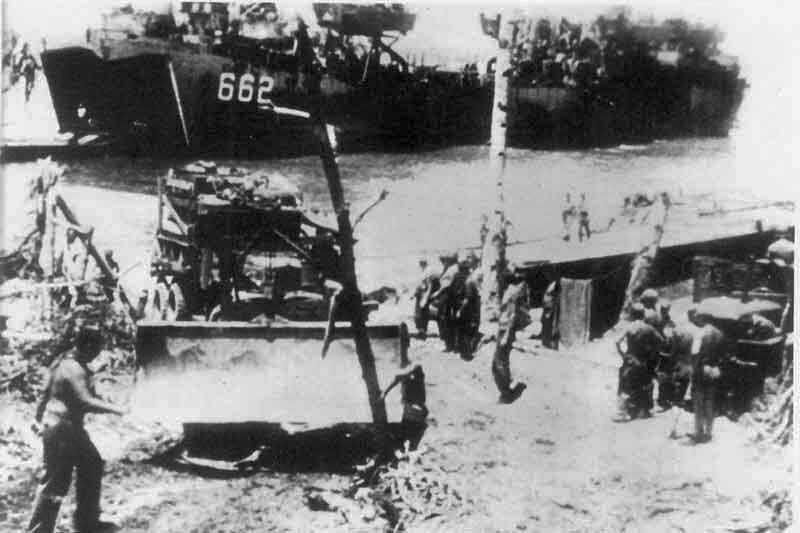 60k USS LST-662 beached at Anguar, Palaus, 17 September 1944. 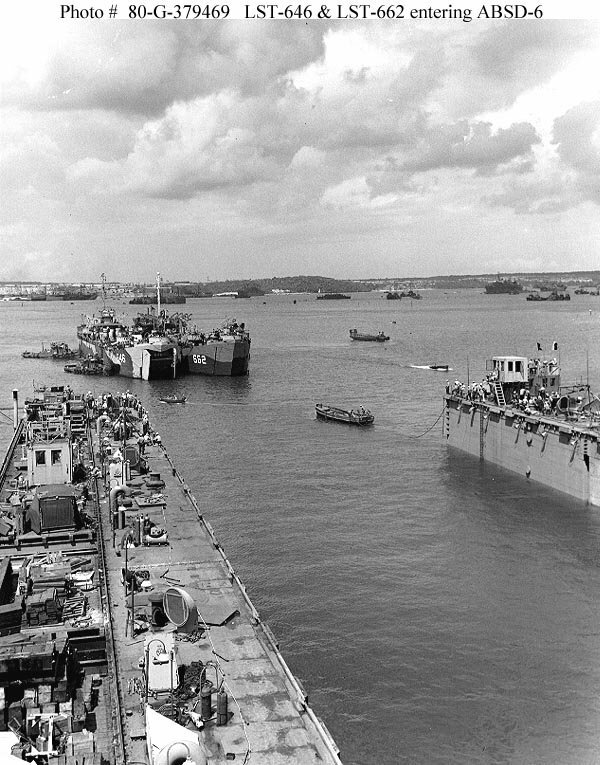 128k USS LST-662 and USS LST-646 entering the floating drydock USS ABSD-6 in Apra Harbor, Guam, 29 May 1945. 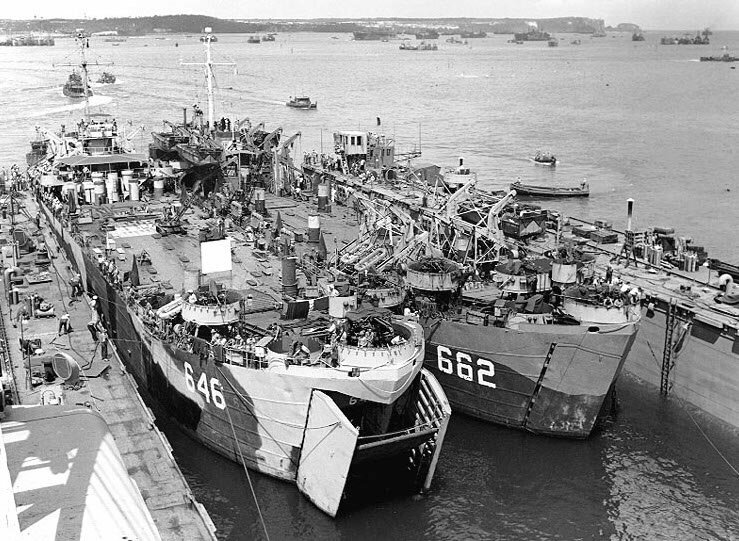 143k USS LST-662 and USS LST-646 in the floating drydock USS ABSD-6, Apra Harbor, Guam, 29 May 1945. 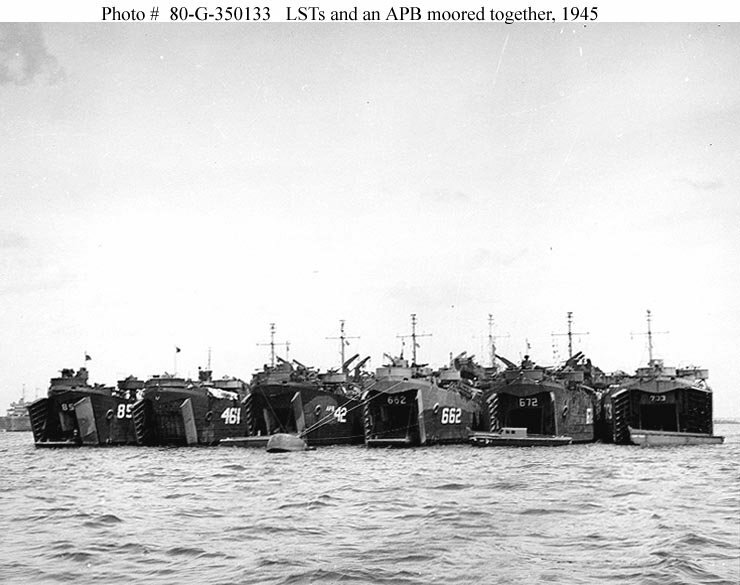 75k Tank Landing Ships (LST) and a Barracks Ship (APB) moored together, 1945.The ships in this group include (from left to right): An unidentified LST (In the number range from LST-850 through LST-859); USS LST-461; USS Yavapai (APB-42); USS LST-662; USS LST-672 and USS LST-733.